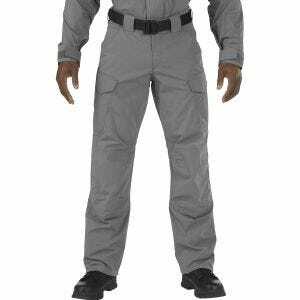 Functional and durable TDU, here in the universal grey colour, is one of the best selling 5.11 uniforms, modelled on popular BDU uniform. 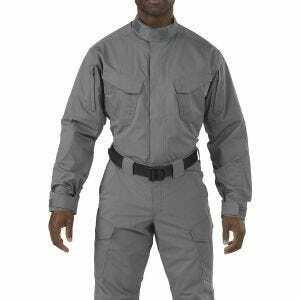 Made of lightweight yet durable Teflon treated fabric, this quality combat uniform provides exceptional fit and comfort of wearing in all situations. It consists of a shirt with melamine buttons, reinforced elbows, hidden document pocket and bi-swing shoulder, and trousers with a number of roomy pockets, reinforced seat, blousing straps, self-adjusting waistband, YKK zippers and Prym snaps. Frequently used worldwide by fire professionals, law enforcement and military personnel, TDU uniform appeals especially to Airsoft, hunting and paintball enthusiasts, and is now available at Military 1st online store.